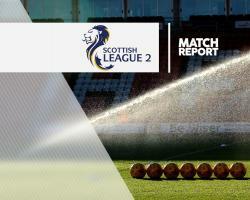 Annan moved up two spots to third in Scottish League Two as they returned to winning ways with a 3-2 victory over Clyde at Galabank. Summer signing David McKenna opened the scoring after 38 minutes as he slotted Ryan Finnie's cross into the bottom corner for his second goal of the season for the hosts. The away side came out strongest after the break and Sean Higgins sent a close-range header over the crossbar before team-mate Philip Johnston set up striker Peter MacDonald, who netted his first league goal for the club as he found the bottom corner to level matters after 51 minutes. But the Bully Wee struck back a second time as MacDonald curled a 77th-minute free-kick over the Annan wall and into the top corner. But Jim Chapman's hosts did not give up on their search for maximum points as they claimed the winner after Max Wright played a great through ball for Rabin Omar to slot home with eight minutes left.